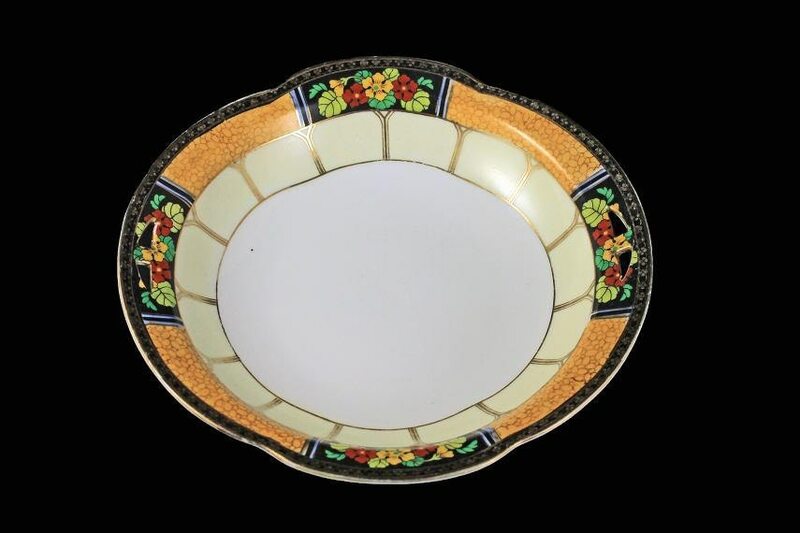 A lovely handled hand painted bowl by Noritake China and made in Japan. 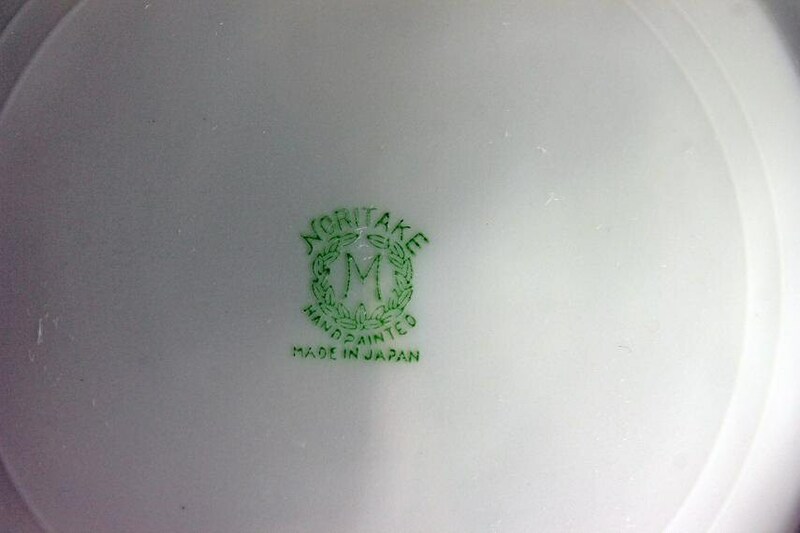 The edges of the bowl are scalloped. 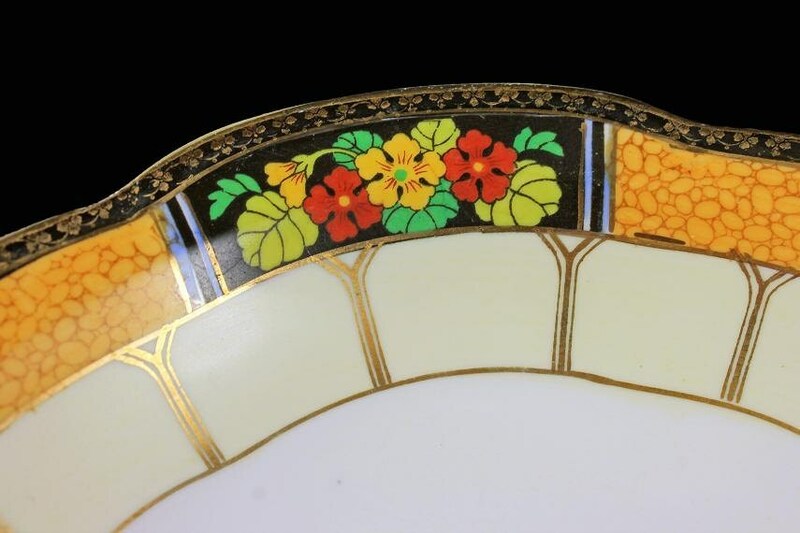 The pattern is a white center, cream verge, and floral and orange edge. There is gold trim. The back stamp has the Morimura 'M'. This would make a great serving bowl for sauces. salsas, or vegetables. 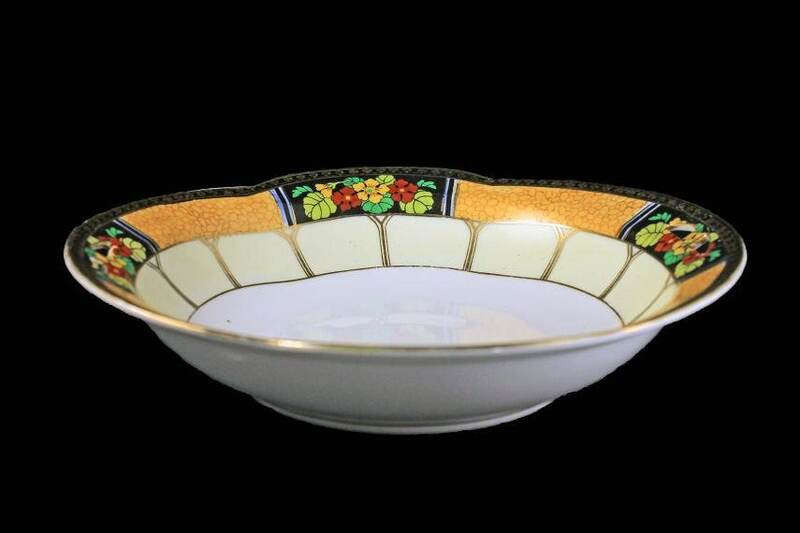 This vintage bowl is in excellent condition. There are no chips, cracks, or crazing. 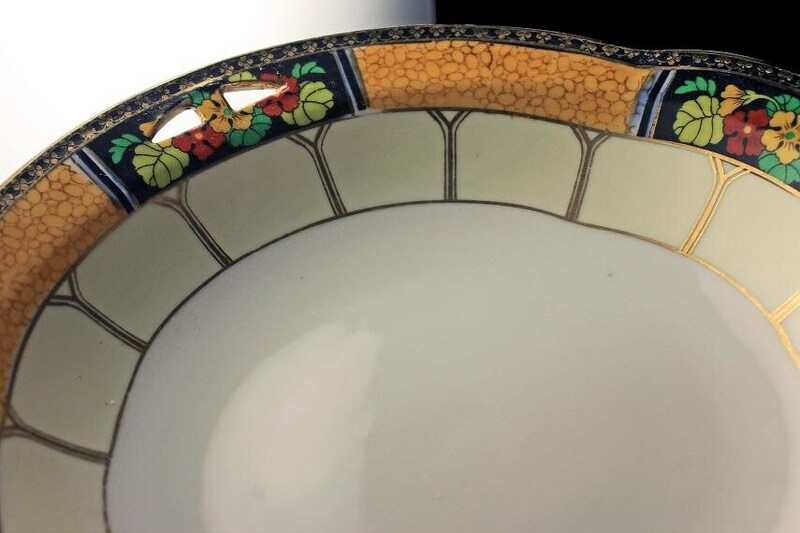 The gold trim along the bowl's edge does show some wear. This piece dates from the 1930s.